Coca Cola’s secret formula, KFC’s seasoning, and Google’s search algorithm. These are three of the most closely-guarded secrets in the world, and they all have one thing in common. We know what some of their components are, but no one understands enough to crack the entire thing open. You can try to optimize your website as much as possible for Google, but there’s no magic formula to beat its algorithm. One of the elements of Google’s search algorithm is called RankBrain. It’s ‘artificial intelligence’ that enables Google to provide more accurate results. 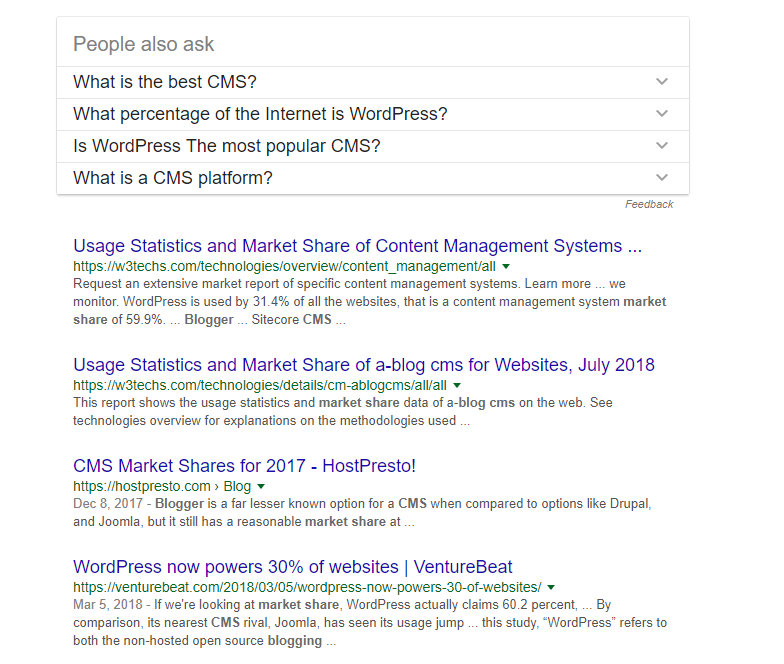 In this article, we’ll talk more about what RankBrain is, what we know about how it works, and how it affects your Search Engine Optimization (SEO). Google RankBrain is a machine-learning system designed to help the search engine provide you with more relevant results. It was first announced in 2015, as a way to help Google sort through its massive database of websites and improve its overall algorithm. After some thorough beta testing, it went fully live in 2016. To be clear, Google RankBrain is only one of the many cogs that make up Google’s overall search algorithm. However, according to Google, it’s the third most important criteria for determining search results, right after the quality of your links and content. When someone enters a complex query into Google, RankBrain tries to make a ‘guess’ as to what it might mean (we’ll talk more about this in a minute). Once the algorithm makes a guess, it’ll look up the most relevant results for you and use that data to refine further searches. Before RankBrain, Google had to improve its algorithm manually. That meant dedicating a massive amount of resources and manpower to sorting data to provide users with better results. Thanks to machine learning, the algorithm can learn to make better predictions, thus improving over time. However, from what we know, Google RankBrain does most of its learning offline. Google feeds it information and then tests the algorithm to make sure it’s providing results that are as good – if not better – than what a human could. Each time they determine there’s enough improvement, a new version of RankBrain goes live. Google RankBrain sounds like magic, but it’s actually powered by numbers and more specifically, word vectors. However, computers can’t understand the actual meaning behind words as we do. That means they need to use a different approach to understand related concepts. Notice that we never mentioned WordPress within our original search query. However, its name is still among the first results. Serving these types of results is possible because Google RankBrain can turn keywords into ‘concepts’ by forming relations between words that share similar meanings. What RankBrain does in practice is to match keywords it doesn’t fully ‘understand’ to ones it does. 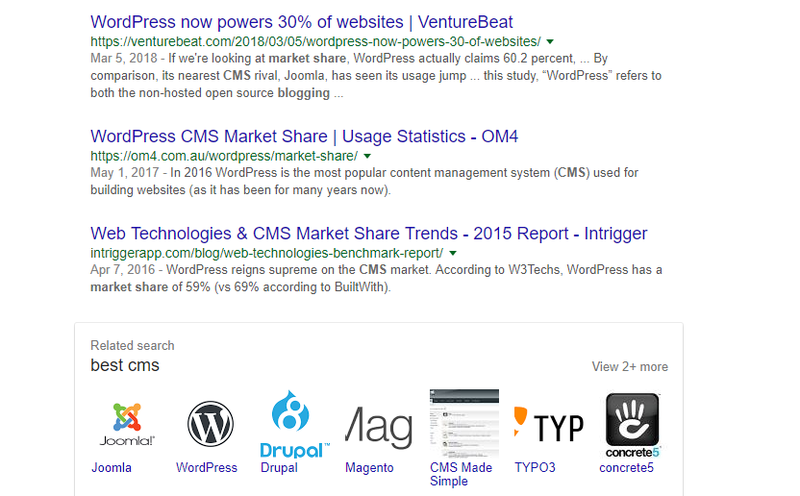 For example, when we look for ‘cms blogging market share’, RankBrain might make a connection with similar queries, such as ‘blogging cms’ or ‘WordPress cms’. Once it gives you a set of results, it can determine how accurate they are by measuring data such as clicks, bounce rate, and how much time you spend on each site. If the results it shows you are good, it stands to reason you’ll click on at least one of them and spend some time on that page. Keep in mind – the exact way Google RankBrain works is not public knowledge. However, we can extrapolate a lot of information from what Google has shared with us. However, if you’re a Search Engine Optimization (SEO) geek like us, you’re probably itching to know what you can do with this knowledge. Google RankBrain’s algorithm continues to improve and change, so we can be certain it’s going to have a significant impact on the way we tackle SEO. To look at an example, we’ve always been fans of long-tail keywords. They offer you a great way to optimize your content for queries where the competition isn’t so fierce. Plus, they’re an excellent way to target voice searches. However, as Google RankBrain continues to improve, it might be the case that you won’t need to optimize for long-tail keywords anymore. Imagine you want to write an article to target the ‘best weight loss program for fast results’ keyword. As keywords go, that’s a tough one to incorporate into your content. However, it could probably net you some excellent results traffic-wise. 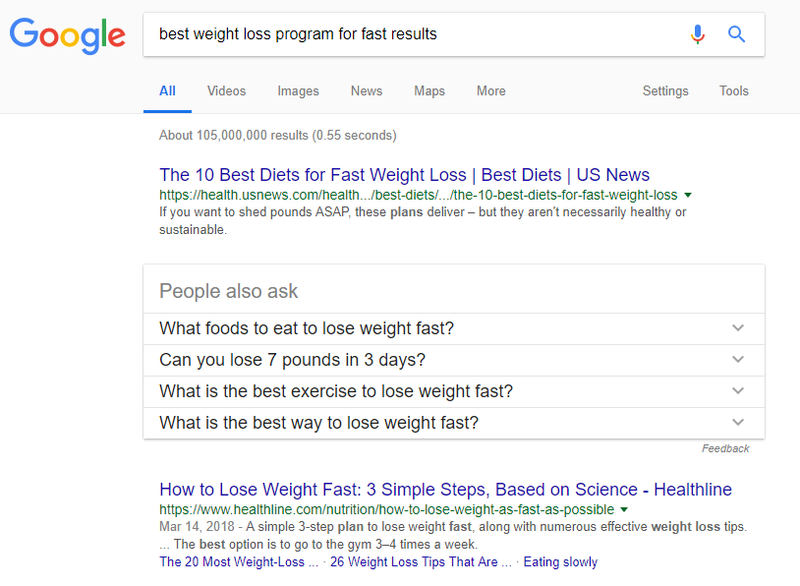 In a post-Google RankBrain world, the search engine should be capable of understanding your article is relevant when someone for ‘fast weight loss’, ‘weight loss trends’, or even ‘slim down quickly’. That means you probably won’t need to make as much of an effort to optimize for long-tail keywords, as Google may be able to figure out when your content is relevant regardless. To be clear, we’re not saying you should ditch any long-tail keywords you have in your planner. Our point is that as RankBrain evolves, it will likely become more proficient in understanding context and relevancy without needing exact keywords to do the trick. Since shorter keywords are more popular, it stands to reason Google has more datasets to compare them against. That means that Google RankBrain should be able to link them more easily. Thus, your content might rank for keywords you’re not even targeting. However, as we’ve mentioned several times already, there is no guaranteed recipe for success. We recommend you regularly check to see if your posts are ranking for the right keywords and keep up to date with the latest SEO news to make sure your site continues to perform well in Google’s search results. Google RankBrain is one of the key elements behind the company’s search algorithm, alongside links and your overall content. Therefore, it’s worth looking at the ways RankBrain changes the Google algorithm to see how it can affect your SEO. The search engine mainly uses the algorithm when it’s dealing with tough search queries, such as long-tail keywords. If you ask Google a complicated question, RankBrain plays a factor in helping it determine what results it shows you. What you need to do is provide the search engine with as much context as possible to help it decide when your content is relevant. Do you think Google search results have gotten more accurate since they implemented RankBrain in 2015? Share your thoughts with us in the comments section below! I’d prefer to enter my own queries. For me, the loss of advanced operators and the introduction of all these algorithms tends to lead to useless results. But for people who barely understand how and and or work, and would never use groups, let alone nested groups, negation, lemmatization, and proximity, it’s probably an improvement. This is what drives me crazy about Yoast SEO. Their software doesn’t take into account that Google has this capability, so it dings me when I use different phrases that mean the same thing as my long-tail keyword (phrase). As you point out, Google can figure out that St. Louis, MO and Saint Louis, Missouri are the same thing. Yoast SEO flags me for not repeating the same keyword enough times, giving me a low rating for the page, which my customer can see when they are in the back end of the site – makes me look bad when actually I’m doing everything exactly right by varying the wording to enhance interest. Yoast is merely providing recommendations – Google doesn’t care what Yoast thinks – it’s a very useful tool but not the only arbiter of good SEO on your page or post. can you just turn the traffic lights (SEO and readability analysis) off in the general yoast settings? I love it! Very nice article. Just at this moment, I am during the new SEO strategy. AI is taking over and it may be a good thing for content creators that answer the question of a Google user. I just hope it doesn’t turn into Skynet. Great article and i think AI will take over internet, how it works. It will be more like human now. With each update Rank Brain will become stronger. Thanks a lot John. I noticed that more and more SEO experts have started writing about Rankbrain now. Good. I went through many articles related to Rankbrain and finally what I concluded is that there is no need to optimize your page for specific keywords. Rankbrain is smart enough to understand what your page is all about and if your content quality is really good, you are definitely going to rank well in Google. In NL Google translate tydelyke websites to tijdelijke websites. Question: Is that the GoogleBrains algorithme or just Google translate and does Google does that only in NL or averywhere in the world? Very interesting article John. I’ll be keeping an eye out for this going forward now. AI rules !